NPRS is the industry-leading business broker for pool service and repair. We help drive more profitability by giving you the resources and knowledge you need to succeed. National Pool Route Sale’s customers are supported by our ongoing marketing and management program, The Millionaire Pool Man. This free program is available to our clients through an online portal after the purchase of your route. There is where all your questions about best practices for maximizing growth and profitability are answered. Thinking about selling your pool route? Hello Everyone. This is Leland’s wife and let me tell you… was I a skeptic when he came to me and said he wanted to do this? You bet, but it’s one of the smartest moves he has ever made. The business was begun with approximately 45 residential accounts just over a year ago and now we have about 90 accounts and the income has more than tripled. Thanks for the great service and support. We could not have done it without The Millionaire Pool Man and your program. Don’t be skeptical It’s a great business. GO FOR IT! Relying on the corporate world got tired! Coming across Charles’ web site was the beginning. I was searching to get out of that world. He was extremely professional, and he was not out all for “Charles”….In fact it felt more like he was all out for me instead. Thanks Charles for being so kind to a young guy starting out! I had worked for a fortune 500 company for 13 years and had a very stable job and prospects for future promotion. When I considered buying a pool service, I was of course a bit cautious, but meeting you eased my concern. You presented an extremely professional procedure for me to purchase my own business. I am now approaching retirement and my son-in-law has asked me about getting into the business. He found your website on his own and I see that he has the same appreciation for your professionalism. He is the age I was when I bought a route from you, and I am sure that with your expertise and mentoring, he will be as successful in the business as I have been. Thank you for being there all of these years. Mr. Baird: I attended your seminar yesterday in A.C. I actually asked you a question on whether to include a service of cleaning a customers pool cleaner when doing a chemical call. I found you to be very direct, honest (maybe brutally honest), and straight forward. What a pleasant change from all the bull out there. I will be buying your book today. After I have read it I am going to contact you about a possible consulting role for my business. I have actually put a few of your concepts in place and People have told me I am nuts. But I run my business by myself, not by committee. Thanks again for the best seminar I have ever gone to, and please do not change. You will probably receive more negative mail than positive because of the way you present yourself. That mail will be from the idiots among us. Robert Flynn, Open and Close Pool Service. We would like to thank Charles Baird for all the support he gave us in purchasing our first pool route. As newcomers to the industry we had tons of questions! Mr. Baird was very professional and always made us feel at ease. His positive attitude and “can do” spirit is contagious! We interviewed a couple of brokers prior to our purchase, and the service that Mr. Baird and his company offer are unmatched! We continue to receive support, even after the sale is complete. Someone is always available to help when you call. No voicemail! We highly recommend Pool Route Sales and look forward to doing future business with them. Thank you Charles for helping us find and successfully purchase a perfect Pool Route for our needs. That said, the rest of our gratitude (which is a lot) is in regard to all of your “step by step” guidance on getting us up and running correctly. Although we have much more to learn, we are off to a great start. Your patience and willingness to make things clear when we get “stuck on stupid” is really wonderful. We would absolutely recommend you to anyone looking to get into the Pool Service business and you will always have our deepest appreciation! 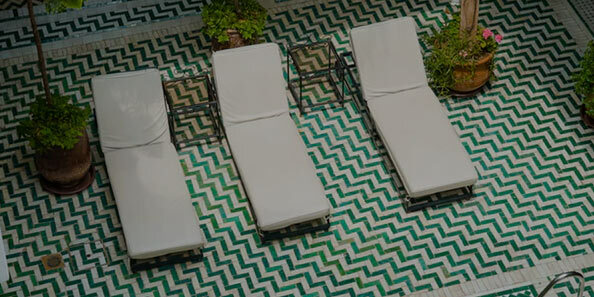 Arleen and Robert L.
Whether you’re starting a new pool service business or looking to extend an existing one, the experts at National Pool Route Sales can help you get off to the right start.